Caption: 23/03/2005 Lobito, Angola. 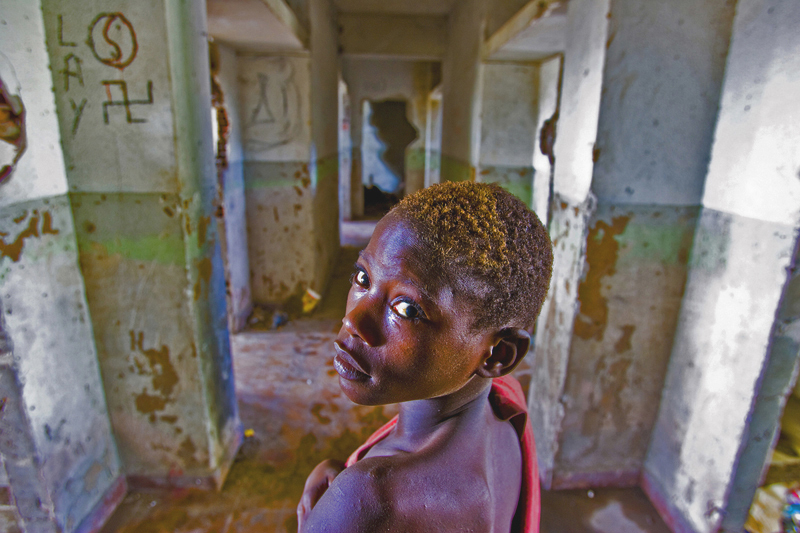 A boy walks in the corridors of a hotel which belonged to UNITA turned into a squat in the city of Lobito. At night, those children sleep in empty buildings ravaged by the war.